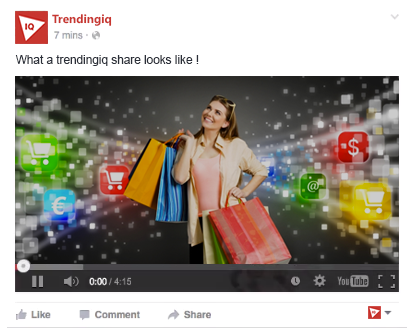 If you are trying to increase your Youtube video views through Facebook then you are at the right place. 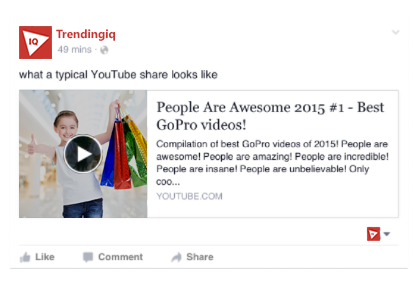 You can create large Youtube thumbnails for Youtube videos to you share them on Facebook. By increasing the Youtube video thumbnail size you can attract more users and it can increase ctr. Here are steps how you can create large Youtube thumbnails for Facebook. Copy and paste the Youtube video which you want to share in the above input box and click on generate. After clicking generate you will get the new url in the input box just copy and share it on Facebook. Then you can see the video with big thumbnail is shared on Facebook .